Come to Carmel and stay in an ocean view, fireplace room by calling 831-372-5000 Reservations Agent for a booking in a room which has been hand selected for you. Create an amazing and relaxing experience when you stay at Tradewinds Carmel during a romantic get away. Stay in one of the large suites with extra sleeping room and additional bath and rooms with two queen beds with partial ocean view when traveling with family and as a fun weekend group with the girls. Feel secluded while enjoying the abundant art studios, upscale pubs and restaurant that are so handy to this location. You'll be well rested and full of zest each morning to run out and seize a day full of your favorite activities like the beach, spa, golf, shopping, hiking trails and more! Tradewinds Carmel is nestled in a peaceful corner of Carmel, yet just steps from charming shops, find dining and superb art galleries. Arrive to be greeted by the soft sounds of the courtyard stream and a small fountain bubbling in your room. Nice continental breakfast is given in the dining room each morning with fresh local and organic items included. Sit and ponder this beautiful place in the Zen style garden area and renew your spirit! High wood-beamed ceilings in upstairs rooms frame the perfect setting for a cozy evening in front of a warm fire. Rooms are carefully appointed with quality furniture and art in each room. Amenities include coffeemaker, robes and slippers, electric cooler and a luxury mattress for your greatest sleeping comfort. The linens are some of the finest available in Carmel by the Sea and bedding can be customized according to your needs. Queen rooms have two beds and luxury bath some with partial ocean views. King rooms have fireplaces, wet bars and private balconies and many have whirlpool tubs. 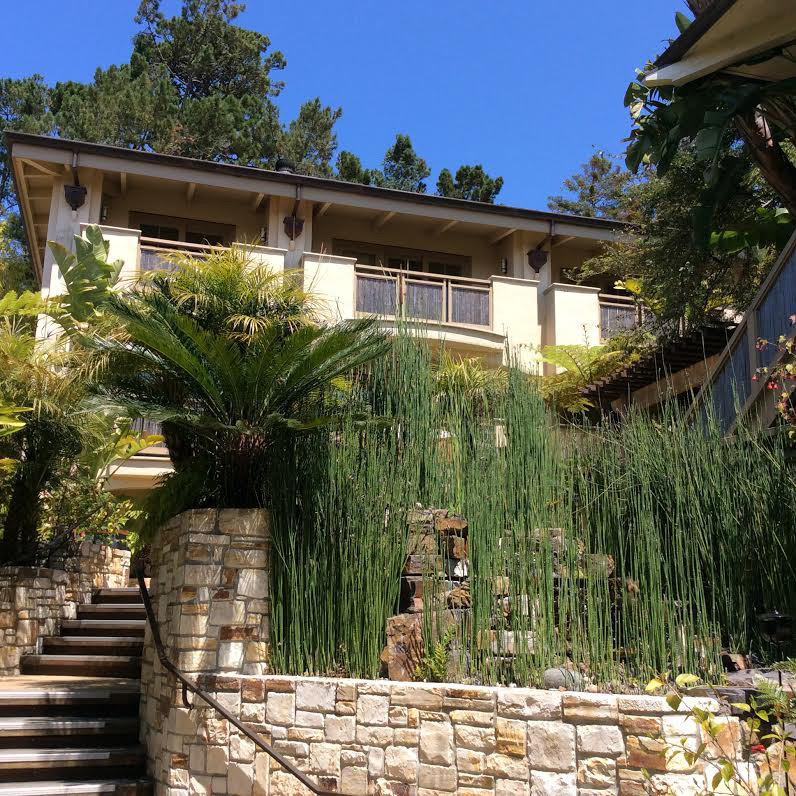 There are some spectacular mountain and ocean views as you gaze over town and out to Point Lobos and Carmel Bay. A true Shangri-La! When coming to town for your next epic event think of Tradewinds Carmel group accommodations and use free local event planning service at 831-372-5000. You will receive personalized attention to your groups wants and needs plus a competitive room rate for a room block for everyone to be together at the hotel. Special events of all types are a specialty for groups of all sizes from honeymoons and weddings to private party banquets and conferences!